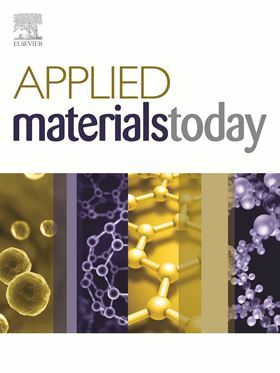 Applied Materials Today is a new, multi-disciplinary, rapid-publication journal publishing original research articles on cutting edge applications of novel materials. New materials discoveries have led to exciting fundamental breakthroughs. Materials research is now moving towards the translation of these scientific properties and principles to applied technologies. Applied Materials Today covers all aspects of materials application, spanning chemistry, physics, engineering, and biology: publishing articles on novel electronic, optical, mechanical, and energy devices, as well as medicine, the environment and the impact on society. “It is my intention that the journal will provide a rapid, high impact outlet for the materials science community and ultimately help stimulate and accelerate the process of bringing innovations in materials science to market,” said Prof. Manish Chhowalla, the newly appointed Editor-in-Chief of Applied Materials Today. “I invite you to submit and to stimulate your colleagues to submit their best scientific and technical work. I look forward to welcoming your paper submissions helping the start of this new exciting journal." “It is my intention that the journal will provide a rapid, high impact outlet for the materials science community." Prof. Manish Chhowalla, Editor-in-Chief, Applied Materials Today. Part of the Materials Today family - including Nano Today and Nano Energy, as well as recent additions Materials Today: Proceedings and Materials Discovery - Applied Materials Today offers authors rigorous peer review, rapid decisions and high visibility of their research.